This Grand Rajasthan Tour allows you to explore the best tourist destinations of Rajasthan along with legacies of history and iconic monuments of Delhi and Agra. It is laced with visits to splendid palaces reminiscent of the age of royalty, dazzling colors of its magnificent festivals, folklores of its brave Rajput rulers, joviality of its beauteous performing art forms, its lip-smacking cuisines and the overwhelming hospitality with which the guests are pampered. Whether you travel alone or with dear ones, when you take a break from the particular destination, you will find the unexpected in a land of magical fantasies. In addition, the local markets of Rajasthan offers traditional handicrafts, mojaris & jutis and fabrics to take home as souvenirs for your loved ones. Namaste and welcome to DELHI, India. Upon arrival at Delhi International Airport, our Asia Senses Travel tour guide will meet you at the airport and assist with a transfer to the hotel for check in. If you arrive into Delhi with time to spare, perhaps pay a visit to the World Heritage-listed Humayun's Tomb or the 12th-century Qutub Minar. As the former residence of royal families and British soldiers, the Red Fort plays a vital part in Delhi’s history. In the morning, set off with the group by metro to Old Delhi and explore on a walking tour. Experience the chaos of an Indian traffic jam, as you inch your way through the streets around Chandni Chowk marketplace in a traditional cycle rickshaw. Visit the Jama Masjid, Delhi's oldest and India’s largest mosque, and then stop by the Sheeshganj Gurudwara (Sikh Temple) to learn about the Sikh religion. Learn about the Sikh guru who, in the 17th century, stuck to his religious beliefs and payed the ultimate price in this very spot. Tonight transfer to the railway station and board a 19-hour/750 km overnight train to Jaisalmer. Local vendors will board the train at various stops to sell snacks, but it’s advised that you bring some of your own food for the journey too. If there are no delays, you should arrive into JAISALMER around midday. This Golden City is known for its ravishing havelis, splendid temples and vibrant bazaars. Also known as gateway of the desert, this charming city gives one the Arabian Night’s feel as it rises out of the barren desert like an approaching ship. Pack a small overnight bag and leave the rest of your luggage at the hotel. Embark on a camel safari into the sand dunes of the Thar Desert. Drive by jeep to the starting point, where you’ll meet your guides and set off through the desert for the three-hour ride to the camping ground. The campsite is very basic, with a wind break set up against a sand dune. Your guides will get a campfire going and cook a traditional Rajasthani dinner while you relax and watch the sunset. Water and soft drinks are available for purchase. Sleep under the open sky on a camp style cot with a pillow, sheets, mattress and blankets provided. NOTE: There are no structured bathroom facilities so please bring toiletries with you, including hand sanitiser. Toilets are simple long drop style. Rise early to enjoy the sunrise over the sand dunes before having a simple breakfast. A drive will convey you to the drop off point from the desert takes around 90 minutes. Return to the city by private vehicle, where you continue the sightseeing. Return to the city by private vehicle, where you can take a trip to the Folklore Museum. This small museum displays printing blocks, musical instruments, religious artefacts and camel decorations, offering insights into the cultural heritage of Jaisalmer. Nearby, visit Gadsisar Lake before spend a short break for lunch. 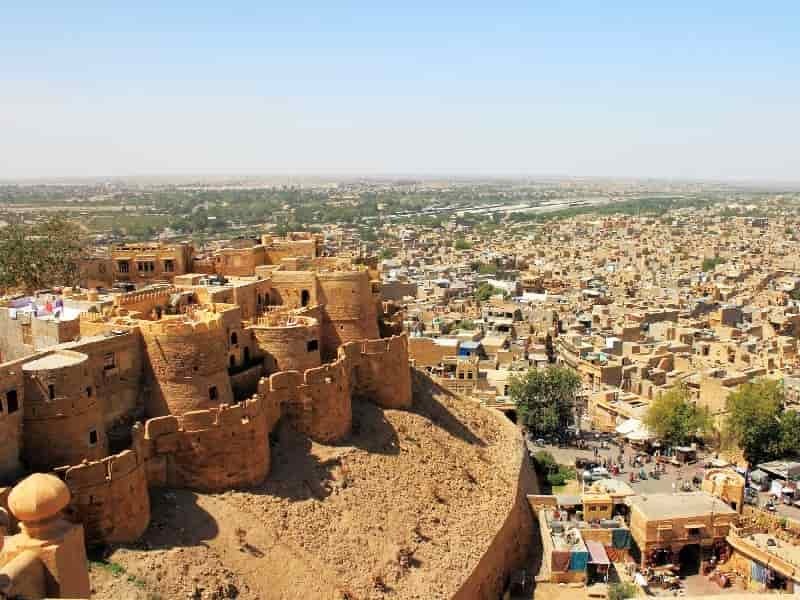 In the afternoon, proceed to visit Jaisalmer Fort. This old fortress city has long been a centre for nomadic tribespeople who come to trade in the twisting alleys and markets inside the walls. If time and energy allow, continue to Patwon Ki Haveli, and Jain Temples. Then head to your hotel for check in. Rest of the day is spent at your own leisure. Following the breakfast, you will be transferred back to the Jaisalmer railway station and then embark on a 6-hour train ride (approximately 300km/3rd Class AC train) across the desert to the JODHPUR, a charming town located on the eastern edge of the Thar Desert. Check in hotel then have a short break to refresh at your hotel before spending time to explore the city. Enjoy a walk to see the sights, including a visit to one of the oldest markets in India, the Sadar Bazaar. Haggle over Bollywood soundtracks, bangles, leather shoes and colourful saris, or simply soak up the energy of a typical Indian market. Jodhpur is said to be home to the best lassis in India, so make sure you try one. Followed by free time to bargain for local wares, from spices to richly coloured textiles and ornaments. 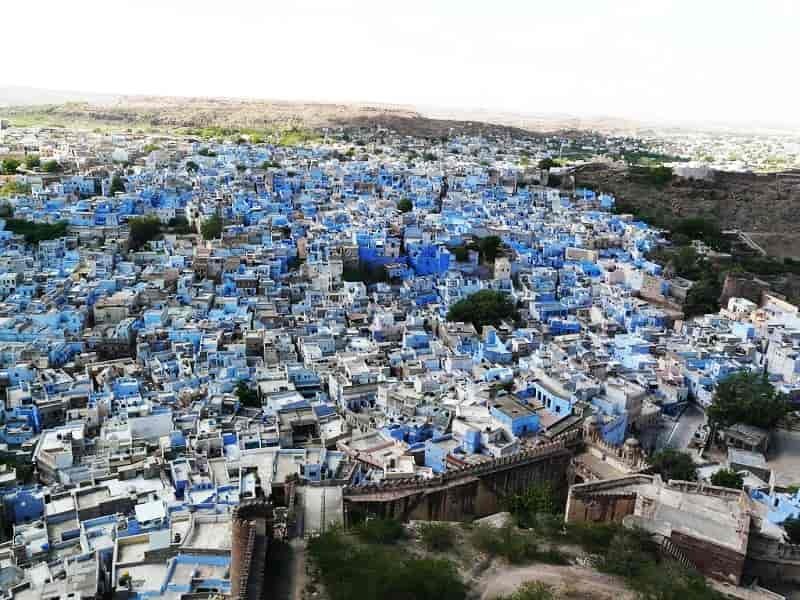 Dubbed the Blue City due to the distinctive colour of its old town houses, the city is dominated by the grand Meherangarh Fort which sits on a hilltop within the ancient walls of the old city. After breakfast, set off for a visit to the colossal fort today. 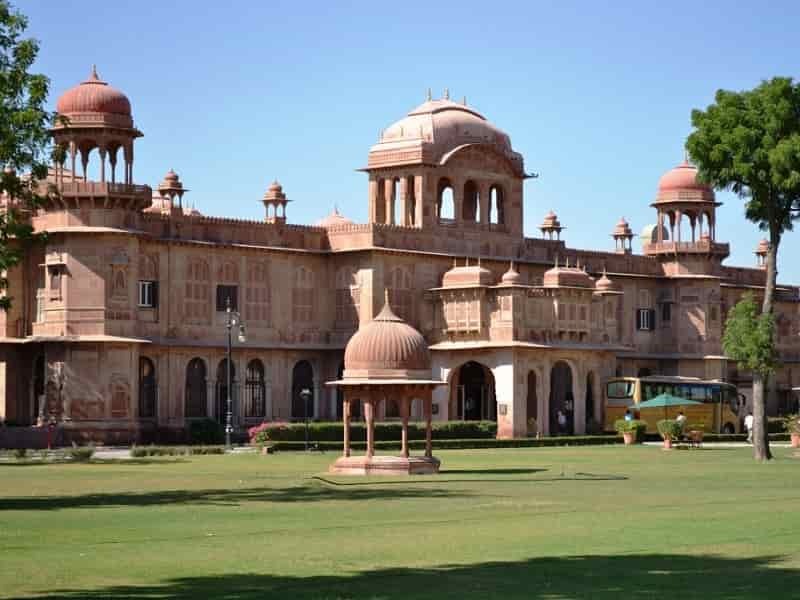 The fort is one of the largest in India and is still run by the Jodhpur royal family. Explore the palaces, galleries and artillery inside the fortress walls and admire great views over the city. Later, take a tour of the nearby Bishnoi Villages. 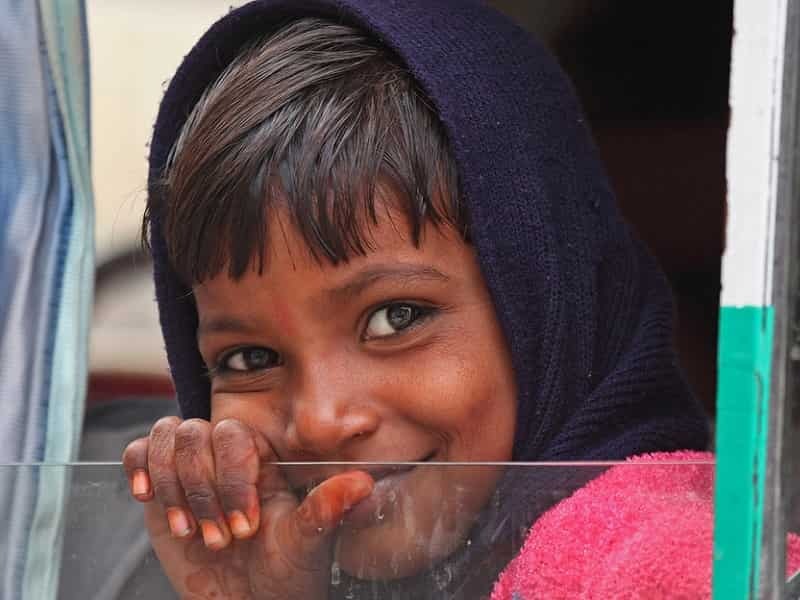 Take a glimpse into rural Rajasthani life and learn about the rich cultural traditions of these peaceful, nature-loving tribespeople. In the morning, check out then drive to RANAKPUR, a small town tucked away in a remote valley which is famed for its beautiful 14th century Jain temples. Ranakpur is home to the most important Jain temple complexes of India, covering an area of nearly 48,000 square feet area, and has 29 halls, 80 domes and supported by 1444 marble pillars, each of them intricately and artistically carved, yet no two of them are alike. Alternatively, our drive heads generally northwards through lots of sleepy villages before reaching our destination of KUMBHALGARH. The 15th-century Kumbhalgarh Fort is one of Rajasthan's most impressive sites. Have time to enjoy the views from the walls. Stop for lunch before continuing south to MOUNT ABU, arriving late afternoon. Mount Abu, a hill station in western India’s Rajasthan state, near the Gujarat border is one of the most popular retreats for vacationers and even honeymoon couples in Rajasthan state. This picturesque valley is considered as one of the five holy places for the Jain community. Upon arrival, check into your hotel. The rest of day is free at leisure. Mount Abu, a pilgrim place for many people is the only hill station in Rajasthan, and it derives its name from a mythological figure, Arbud. Free at leisure this morning to relax at your hotel, stroll around and enjoy Mount Abu’s scenic beauty, rich flora & fauna or take a swan boat on the Nakki Lake. In the afternoon, visit the 11th century Dilwara Temple which is famous for its extraordinary architecture and marvellous stone carvings. Then leave Mount Abu for a 3-hour journey to UDAIPUR. Known as the ‘Venice of the East’, this white city is often regarded as the most romantic in India. Set amid the Aravalli Hills, Udaipur curls around a huge lake. On arrival, embark on a city walk to gather your bearings. Explore twisting alleyways filled with shops and bazaars selling things like silver jewellery, shoes, bags, leather goods and miniature paintings. 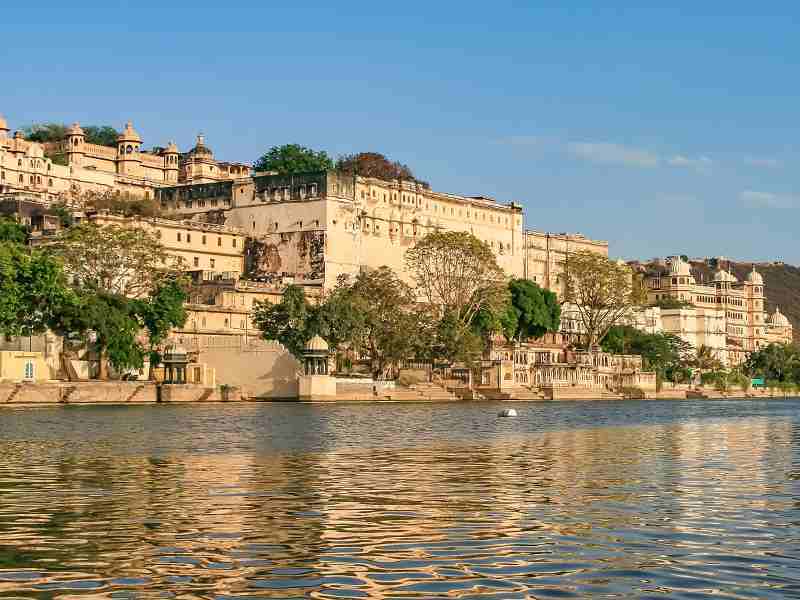 A favourite amongst traveller, Udaipur is viewed as one of Rajasthan’s most romantic cities and is brimming with palaces and temples. The city sits on the east side of Lake Pichola, and is surrounded by Aravalli Hills. Take a short boat ride (seasonal) on the famous Lake Pichola and see the palaces of Jag Mandir and Jag Niwas rise out of the water. Visit the City Palace complex dating back to the 16th century, it has several different palaces with interlinking courtyards and enjoy views of the Lake Palace Hotel which completely covers the island of Jag Niwas. While inside, check out vivid murals and royal antiques, and pop into the impressive Jagdish Temple that’s dedicated to Lord Vishnu. After lunch, have the opportunity to buy local souvenirs as we pass through plenty of market areas. You might like to join a trip to the nearby rural arts and crafts village of Shilpgram, where mud huts, artistic performances and traditional rural ways of life can be observed. OPTIONAL: Learn the secrets behind making the perfect Indian thali during a half-day cooking class. This evening we drive half an hour out of the city to the Sajjan Garh (Monsoon Palace) to witness the sunset and experience a magical atmosphere at twilight. Checking out in the morning it is time for a real treat as you will be transferred to the original 'Best Exotic Marigold Hotel'. Located in a little town called KHEMPUR, the hotel is officially known as the Ravla Khempur and it was here that some of the film was shot. Upon arrival, take in the relaxed pace of village life as you set off to explore the surrounding area by bullock cart ride, a mode of transport that has been used here in India since the beginning of written history. After lunch, stroll with our guide through the village, with a chance to meet the friendly locals. Later in the evening, enjoy high tea by the lake, much as the British Raj would have done in a bygone era. Free at leisure at the hotel. This mornong, check out then return to Udaipur, then head to the station and travel by train for around seven hours/300km to the city of AJMER (AC seated carriage). From here, it’s a 45-minute/30km drive by private vehicle to your hotel in PUSHKAR. Pushkar is one of the India's holiest towns and a market centre for the surrounding villages. Head out to explore the Pushkar town on a walking tour, stopping at the main bazaar along the way. Take a walk around Pushkar’s lake and past the bustling ghats and temples, observing the devout as they worship at the holy waters. Early morning risers can hike up the hill to the Savitri Temple for sunrise views over the town. If the chai man is there, enjoy a steaming cup of tea at the top. Later in the day, pay a visit to the colourful Brahma Temple, which is dedicated to the Hindu god, Brahma. 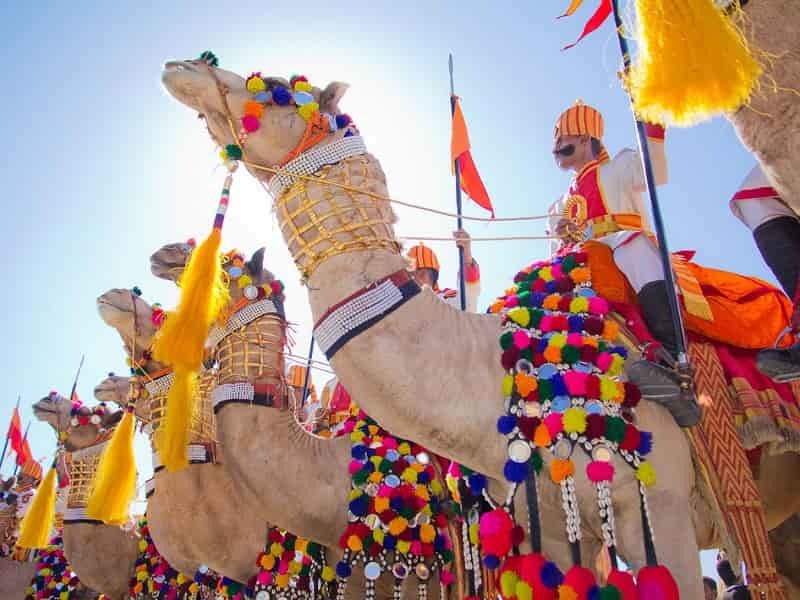 If you’re lucky enough to be in town for the Pushkar Camel Fair, experience one of India’s most famous festivals. Today, drive to RANTHAMBORE, home to Ranthambore National Park, one of the biggest national parks of India. For a relatively small area, the park offers a rich diversity of fauna and flora including sambar, chital, nilgai, wild boar, leopard, sloth bear and myriad birdlife as well as the Bengal tiger. Ranthambore is one of the prime examples of Project Tiger's excellent conservation efforts in Rajasthan. Later a visit to the Ranthambore Fort, nearby sites and temples. The Fort is regarded as one of the oldest forts of Rajasthan and was built in the 10th century by the Chauhan rulers. After that, free at leisure and overnight at the park. This morning, join in a safari tour into the park. 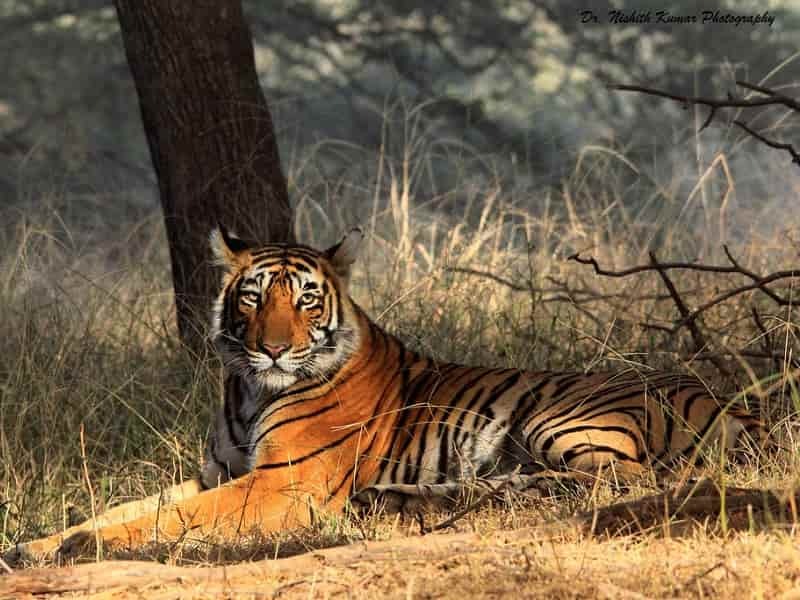 The Ranthambore National Park is known for large tiger population and is one of the best places in India to see these majestic predators in the forest. For a relatively small area, the park also offers a rich diversity of fauna and flora including sambar, chital, nilgai, wild boar, leopard, sloth bear and myriad birdlife. After lunch, drive on to JAIPUR, the vibrant capital of Rajasthan. The rest of the day is free for you to spend at your own leisure. OPTIONAL: Very early this morning, there is the opportunity to sail over the lotfy hilltop forts and regal palaces of Jaipur in a hot air balloon. Ballooning can be done over the city early in the morning between September and June. Today, enjoy a sightseeing tour of Jaipur, which is known as the "Pink City" and is one of the most attractive and colourful cities in India. Travel out to visit the old Maharaja's residence, the City Palace, which houses an excellent museum of regal attire, and Jantar Mantar, an ancient astronomical observatory. 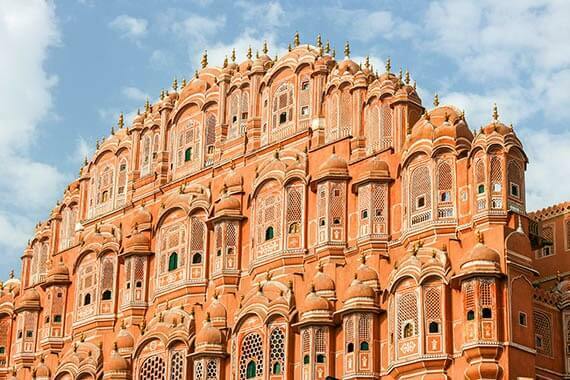 Then see the beehive-like structure of the Palace of the Winds (Hawa Mahal), built so that women of the royal family could observe street festivities unseen. Later in the day enjoy a walking tour of the bustling Bazaar. After lunch, travel beyond Jaipur to the stunning 16th century Amber Fort, reaching its summit by jeep, where we enjoy a tour of the fort's well-preserved interior and grounds. Entering the Sheesh Mahal (Hall of Mirrors) is a particularly memorable experience. Later we visit a cotton weaving house to see a demonstration of fabric dyeing and block printing. This evening, have a special treat with a cooking demonstration at our hotel and as a bonus, you get to eat what you learnt to cook! Head east by private transport for the 4-hour journey to the ghostly city of FATEHPUR SIKRI. 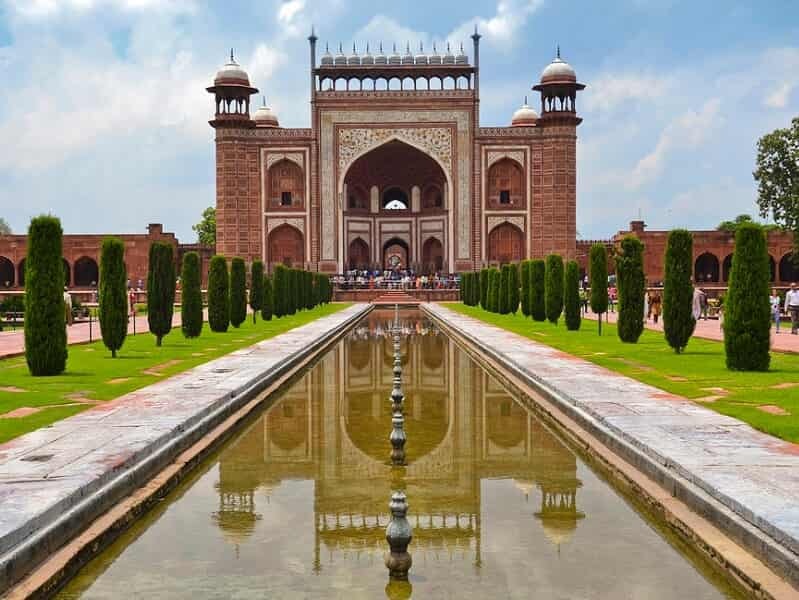 A former Mughal capital of Fatehpur Sikri, this has been deserted for over four centuries after it was allegedly abandoned due to a lack of water. Thanks to the very durable red sandstone from which it was built, Fatehpur Sikri still remains well-preserved and is a fascinating place to explore, and is one of the best preserved collections of Indian Mughal architecture. After that, proceed to AGRA. Rich in Mughal heritage, Agra is a city of gardens, temples and open rooftops. No doubt everyone will be keen to visit the Taj Mahal, a white marble mausoleum built by Emperor Shah Jahan as a memorial to his wife Mumtaz. Perhaps one of the most extravagant monuments to love ever built and has no peers, the building is now one of the New Seven Wonders of the World and attracts over three million visitors each year. The rest of the day is free to explore. An amazing local social enterprise, Sheroes Hangout, an initiative by the Stop Acid Attacks campaign and staffed by survivors, is located about 10 mins walk from the Taj Mahal and is an excellent place to stop for a cold drink, coffee or light meal while you are here. Today perhaps return to the Taj Mahal at sunrise, then explore the spectacular Red Fort on the banks of the Yamuna River with the Taj in the distance.. Built in 1565 by Emperor Akbar, the fort was originally designed to be a military structure. If you have extra time, you may like to continue onto Akbar's Mausoleum to pay your respects to the great emperor. After lunch, you will be transferred back to Delhi. From here, a transfer is provided to the airport for your onward flight, or to the hotel you pre-booked. End of our services.